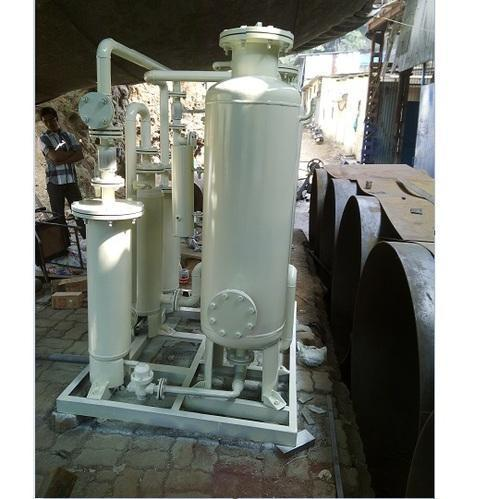 We are the leading and prominent Manufacturer and Exporter of Air Dyer. Operating from two commercial hubs of India, Mumbai & Gujarat, for more than 31 years, we, Ace Industries, Mumbai are in the business of designing and fabrication of Industrial Centrifugal Machines and Scale Centrifuge Machines, which has helped us to establish a strong hold over the market. Our quality tested range is approved by chemical consultants such as Dalal Consultants, Humphrey’s, IBI, Davy Power Gas, Tata Consultants and I.E.L, thus helping us to gain a reliable name in the market. The experience gained through manufacturing of more than 2000 machines have also enabled us to offer customized solutions to suit the varied technical specifications and also offer prompt installation and commissioning services at minimal charges. Apart from this, we are also engaged in manufacturing and marketing of calcium chloride. Owing to our quality products and ethical business practices, we have also gained reputed membership of EEPC. The machines offered by us come with a guarantee for trouble free running for 18 months from the date of dispatch or 12 months from the date of commissioning. In order to make our presence felt all across the globe, we also participate in industry trade fairs and exhibitions like Chemical Technology Exhibitions in 1986, 1990, 1996, 2002, 2006 and 2009 and also visited Frankfort- Germany – ACHEMA in 2006. Presently, our products cater to the markets of various countries such as Thailand, Italy, Iraq, London, UAE, Malaysia and others. Product Industry: Oil Refineries, Food, Chemical, Sugar And Many More.